I’ve seen quite a few things roll across my desktop in the past week or so that I want to share with you, so I thought that I would throw up a few posts that we’ll call last minute gifts. This will also give me time to work on the Nashville New Years Eve post that I am pulling together. So stay tuned for that. In the meantime… how about some live shows on the web for you. Happy Holidays! 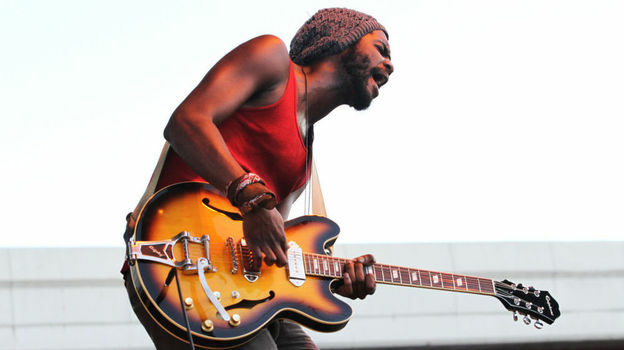 First up, is Gary Clark, Jr. We first introduced you to this modern day blues master last summer during his Bonnaroo set. The buzz around him continues to grow. Channeling the feel of an Albert King, SRV, or Jimi, Clark Jr. is truly a master of an art that is perceived as dying. He released his awesome EP Bright Lights back in August, and at the ripe old age of 27 is bound to be melting our faces for a long time to come. NPR is presenting a live 30+ minute set via XPN out of Philadelphia. It’s not embeddable, so you will have to roll over to NPR to check it out. Next gift for you is some live Fucked Up. 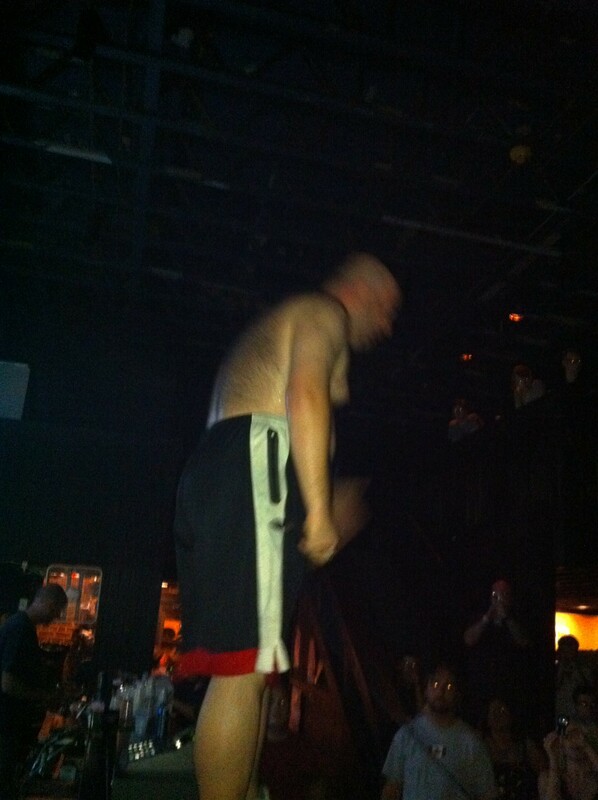 I wish I could give you a better picture from when I saw Fucked Up at Exit/In back in June, but Damien wouldn’t stay still long enough to get a decent picture with my cell phone. Whatever, you can see him up there standing on the bar at Exit/In, and if you were at the show you’ll know that he ended up in the balcony with his mic cable stretching across the crowd. It was an unbelievable show. If you didn’t have the chance to see the band (who’s 2011 release David Comes To Life was named as Spin’s best album of 2011), you can see them perform David Comes To Life in it’s entirety over at Pitchfork. Finally, Live and Reel who started bringing you live sessions with Nashville musicians this past summer. They’ve brought us Evan P. Donahue, Natalie Prass, Andrew Combs, and The Little Bear already, and their latest installment includes a couple of sweet songs from Annie Williams. You can check both of those out below. You can also read the nice Cream write up about it, and, yes, we here at No Country are happy that D. Patrick Rogers found his car that day too. I hope I can find mine on this similar rainy day.